Despite plans to take a year off from releasing a new Three Pines novel, Louise Penny surprised her fans by announcing that Kingdom of the Blind would indeed be released before year’s end. Every book in the series feels personal, but because the basis of this new novel took root while Penny was settling the estate of her beloved late husband, Michael, Kingdom of the Blind is sure to resonate on a very emotional level for long-term fans. It begins when Armand Gamache is called to an abandoned farmhouse on the outskirts of Three Pines. There he discovers that an elderly woman he doesn’t know has named him as one of three executors on her will. Another Three Pines resident, Myrna Landers, is one of the other two individuals named; while the final person is unknown to both Armand and Myrna. Before the mystery of why a stranger would name them in her will can be solved, a body is discovered and the questions increase exponentially. While this would be enough plot to satisfy most crime fiction fans and authors, Louise Penny also has some cliffhanger elements from the previous book in the series, Glass Houses, to wrap up. Readers will remember that Armand Gamache has been placed on administrative leave while authorities investigate his involvement in the release of a stash of opioids into the Canadian populace. When one of his recommended cadets is expelled from the Sûreté du Québec Academy, tensions for Gamache continue to escalate. Kingdom of the Blind marks the end of this continuing thread, which has been part of the series for the most recent few books, but the resolution to the issue is going to have some serious and long-term ramifications. Fans of the series who prefer when the novels are set in Three Pines will delight in knowing that most of the action in Kingdom of the Blind takes place within the village confines and watching new characters interact with our favorite residents sheds additional light on and increases the depth of each personality. Action might not be a word that is often associated with the works of Louise Penny – they are often more cerebral in execution – but Kingdom of the Blind does feature an extended action sequence set within the dilapidated farmhouse in which the risks are very high indeed. It is also extremely rewarding to see Myrna Landers taking center-stage; she has long been a fan favorite and gaining new insights about her serves to increase that bond. More than some other books in this series, the plotting of Kingdom of the Blind features multiple through-lines, all happening simultaneously. The quick transitions between these storylines elevates the excitement and propels the reader forward until the various threads begin to converge with unexpected connections. No one is ever going to claim that Louise Penny is unable to find a startling kinship between larger global concepts and the unique personal ethos of every individual. 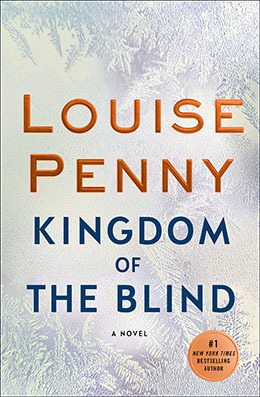 Louise Penny also excels at crafting titles that have multiple meanings and Kingdom of the Blind is no exception. 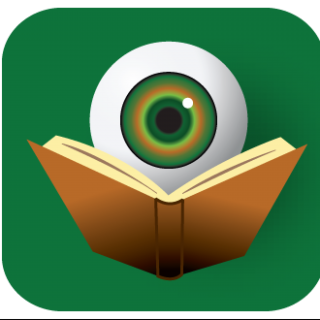 Throughout the novel, readers will see the idea of blindness played out in a myriad of ways. As with all of the Three Pines novels, the human condition is explored in heartbreaking depth and readers will continue to think about this book long after the final page is turned. Kingdom of the Blind takes place in the unforgiving Canadian Winter and snow is another constant challenge, so cuddle up by the fireplace with your favorite blanket and a café au lait and sink into the world of Three Pines. Your soul will thank you and you will be better for it. Entranced by her last book. Can’t wait to read this one. They only get better. I don’t know how she continues to do it. You have some wonderful reading ahead of you. This is a series that just continues to get better. I agree that I hope there is no end in sight. Excellent overview, Kristopher, without giving anything away. Of course I’m going to buy/read this latest from Ms. Penny, but boy oh boy, did you whet my appetite! I agree, Kristopher – I was thrilled to see Myrna take such a prominent role in this book. Great review that certainly makes me want to add the new Gamache to my Christmas wish list. Thanks for sharing, Kris.